Whichever streaming service you use has just been flooded with more than 300 tracks from The Beatles so you may well be looking for a better way to enjoy the band’s back catalog. And if the job of a Spotify playlist curator wasn’t fun enough, it’s just got a whole lot better with this huge influx of music, so to give you a hand the team has already worked to bring you seven great playlists from the Fab Four. 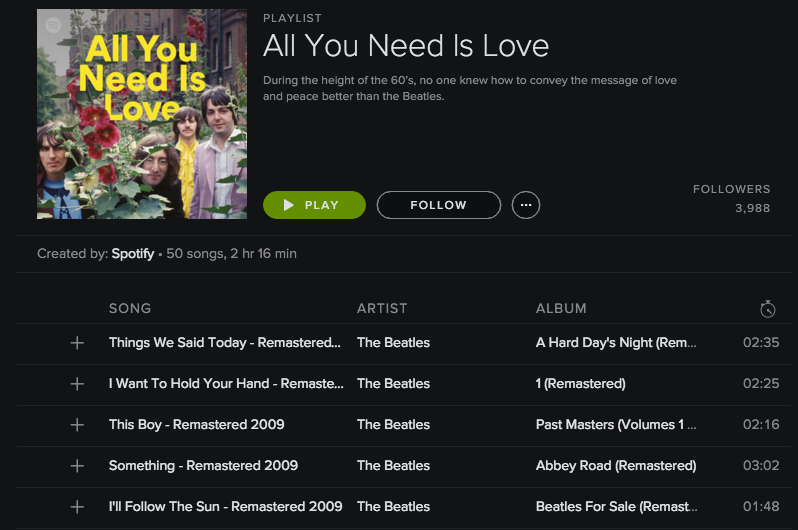 The most popular songs so far are not greatly surprising, ‘Let It Be’, ‘Here Comes The Sun’ and ‘Hey Jude,’ but with these playlists you’re able to dig deep into the archives to find some lesser-known bangers.